It's 70 minutes in the final match of the day but no team has been able to break the deadlock yet. Gangadharpur Vidyamandir and Minerva Public School have created chances but to no avail. Tight game here in Reliance Corporate Park, Gangadharpur Vidyamandir had the better opening five minutes but Minerva Public School have dominated since then and are unlucky not to be ahead, as they were left fuming by a penalty miss. Watch the game LIVE. Three and easy! Malabar Special Police HSS progress to the play-offs over Thakur College of Science and Commerce. Heartbreak for Mumbai's champions who were outplayed by Kozhikode’s champions on the big day. Malabar Special Police HSS head into the break with a slender lead against Thakur College of Science and Commerce, courtesy of a sublime solo effort from Pratap E. Huge 45 minutes upcoming for both sides with a loss meaning an exit is imminent. Narayan Nair Memorial HSS demolished Emerald Heights International HSS to register their first victory of the campaign. 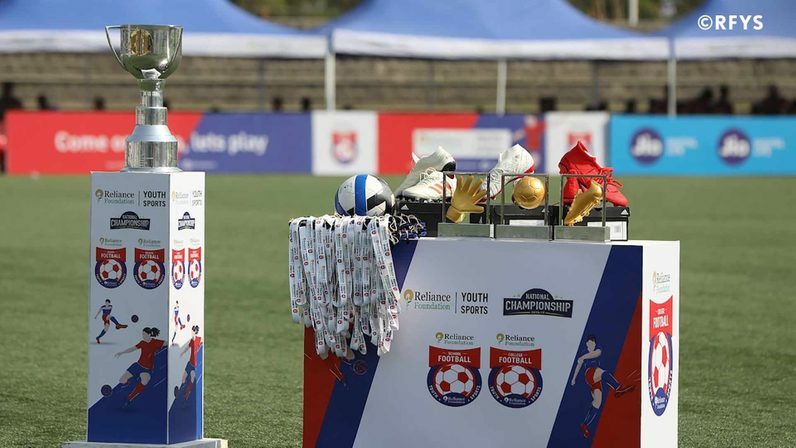 Kozhikode's champions took the lead through Abdul K after only 6 minutes, oozed new found confidence as they never looked back and completed a 7-0 rout of Emerald Heights International HSS. We are underway in the Junior Boys clash between Narayan Nair Memorial HSS and Emerald Heights International School HSS! With little to play for both teams, as both teams have failed to win a single game in the group stage, they would still be looking to finish their campaign on a winning note! Md Sumit’s strike separates both sides at the break. It may well have been more goals for Chowbaga High School in the half, but they haven’t been clinical enough in front of the goal. What an absolute goalfest. The highest number of goals scored thus far in the tournament. JJ Govt Boys HSS go out in style! Shortly, Vedas International School take on Chowbaga High School in the Junior Boys clash. Both teams are unbeaten so far and have already qualified for the play off. An astonishing first half sees JJ Government Boys Higher Secondary School go 4-0 up, thanks to a brace each from Sivasakthi N and Kamalesh P. Watch the second half of the game live. Chadel Fernandes scored a brilliant free kick as Rosary HSS head into the break with a 1-0 lead against Shillong College HSS. Rosary HSS have a slender lead and are half way there to making it three wins in three. Regardless of the result, both teams have qualified for the play-off and it’s a battle for top spot and bragging rights. Watch the second half live. Ved Vignan Maha Vidyapeeth registered an emphatic 7-3 victory, but just miss out on qualification to the play-off due to St. Anthony’s HSS superior goal difference. Tough loss for them, but the young boys can go out with their head held high. Lots to be proud for them as they went down fighting right to the wire. The line ups are in and the warmups are done, taking the field next is the Junior Boys clash between Ved Vignan Maha Vidyapeet and St. Vincent’s High School. Both teams yet to notch a win this campaign will be rearing to start their 2019 on a right note. Maharana Pratap Sports College pick up right where they left off in 2018 as they registered their third consecutive victory on the trot and booked a berth in the play-off. 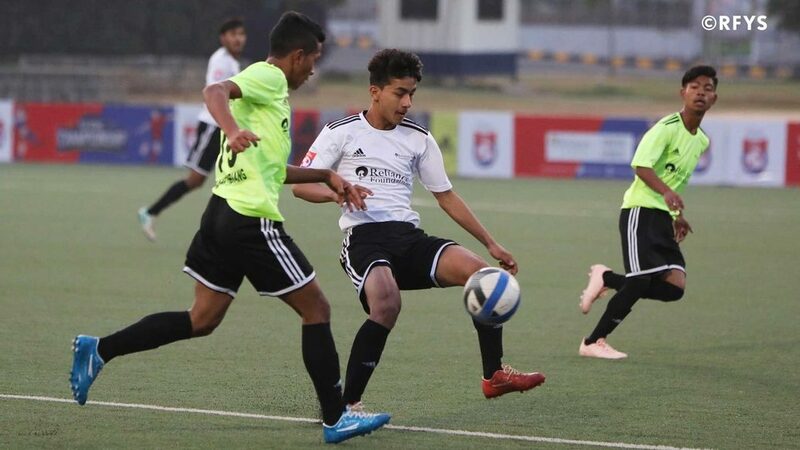 In a contrast to their previous games, Maharana Pratap Sports College had to dig in deep against St. Athony's HSS, before Ajay Arya’s strike in the 48th minute finally gave them a breakthrough. To get a detailed report of the game, visit Matchcentre. It’s a gorgeous morning here at Reliance Corporate Park! 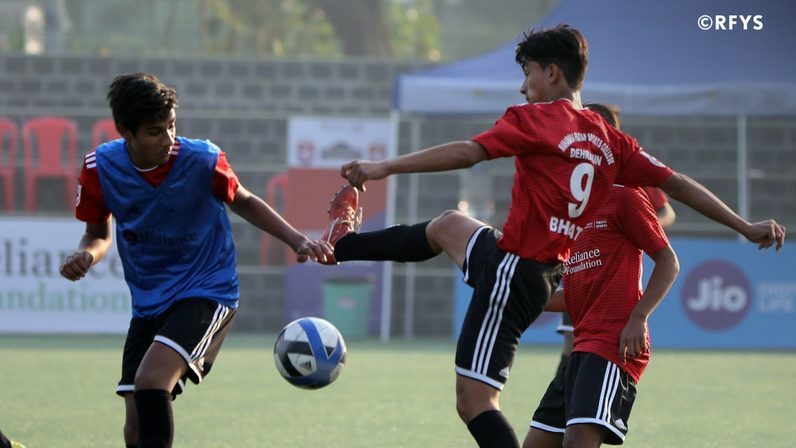 Yesterday, the School Girls and College Boys played out their second round of fixtures and the day was filled with great goals, comebacks and upsets. With the qualification to play-off on the line, teams played out of their skin and that provided for an entertaining day of football. For a roundup of matches from yesterday, visit National Championship Day 4 Report.